Pigs Pigs Pigs Pigs Pigs Pigs Pigs have revealed details of their new, second album, King of Cowards, to be released September 28th via Rocket Recordings. Listen to the first track Cake of Light below. Singer Matt Baty had this to say about the album "In terms of how the theme came together I'd relate it to throwing paint at a canvas in a really physical and subconscious way, then stepping back to analyse it and seeing it all as one piece. It wasn't until then that I saw there was this continual thread of sin and guilt in the lyrics throughout the album. For a long time I've questioned how and where guilt can be used as a form of oppression... When can guilt be converted into positive action? After typing all of the lyrics up I realised I'd unwittingly referenced every one of the seven deadly sins throughout the album. That's the fire and brimstone Catholic teachings I picked up at school coming into play there!" 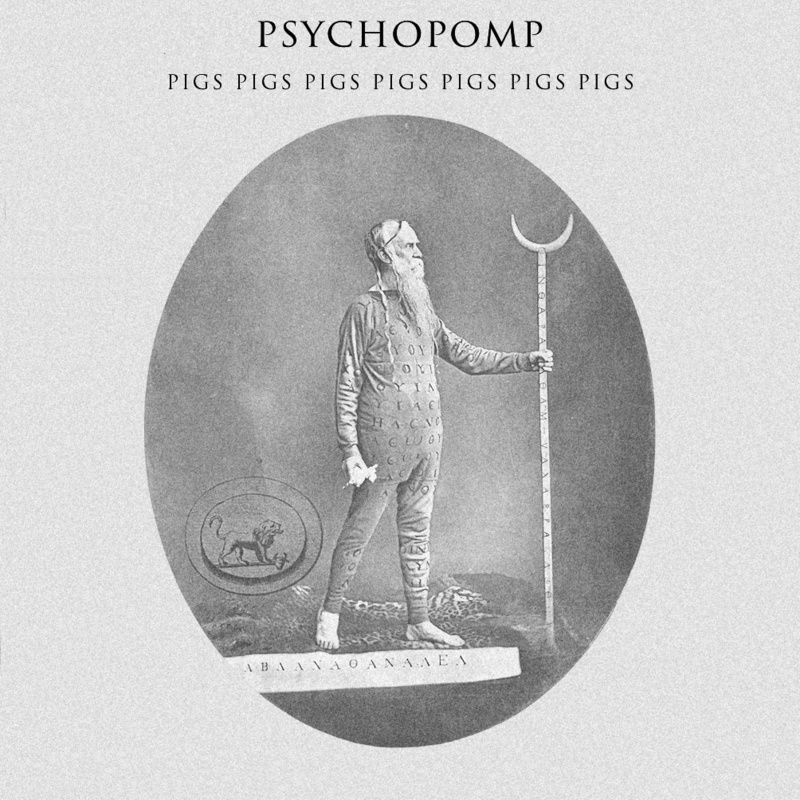 Adam Ian Sykes explained how they got closer to actual pigs during the recording process "We hired a remote, converted barn in the Italian countryside and spent a week there writing the bulk of the album and trying to make friends with wild boar. The results are shorter, more concise songs with, I guess, a little more focus, especially thematically. We wanted to shift slightly from our old jam-based way of working. In places, the album gets darker than Feed the Rats, especially lyrically but we also tried to get a fair amount of levity in there."